The African elephant matriarch leads her herd hundreds of kilometres across the desert each year to find fresh food and water. During the dry season, African elephants must travel hundreds of kilometres to find fresh food and water. African elephant herds are led by the oldest female. African elephants must find waterholes every few days in order to survive the desert heat. 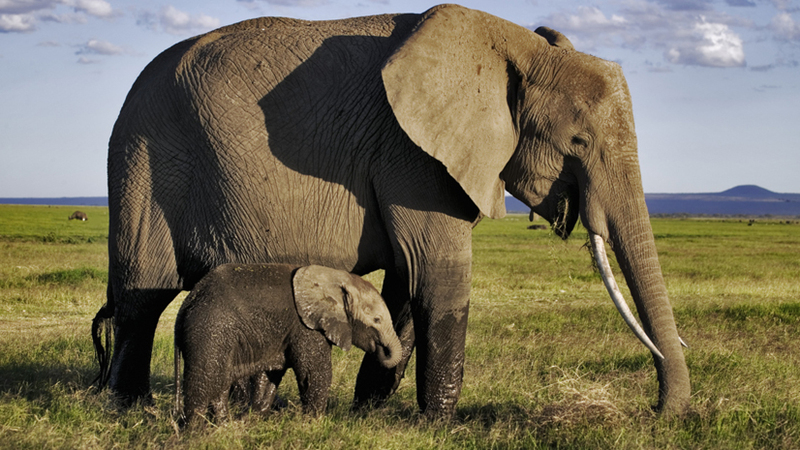 African elephants live in a matriarchal society, in which the herd leader passes on skills and knowledge. Dry season in the Kalahari desert, and this herd of African elephants must travel hundreds of kilometres to reach fresh food and water. It's a long and dangerous journey, but luckily, each group has a member who knows the way.